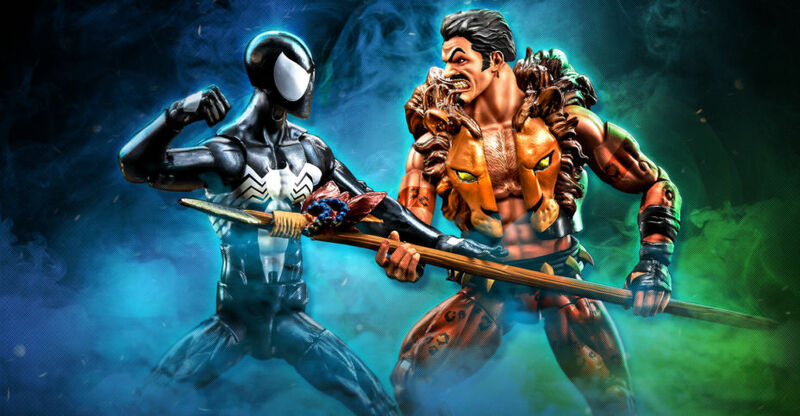 From “Marvel’s Spider-Man,” Symbiote Spider-Man takes on Kraven the Hunter! The TV host who’ll hunt anything and everything has targeted Spider-Man in his living black suit. Spider-Man includes a webline accessory and leaping support stand, while Kraven comes with a new rifle accessory. 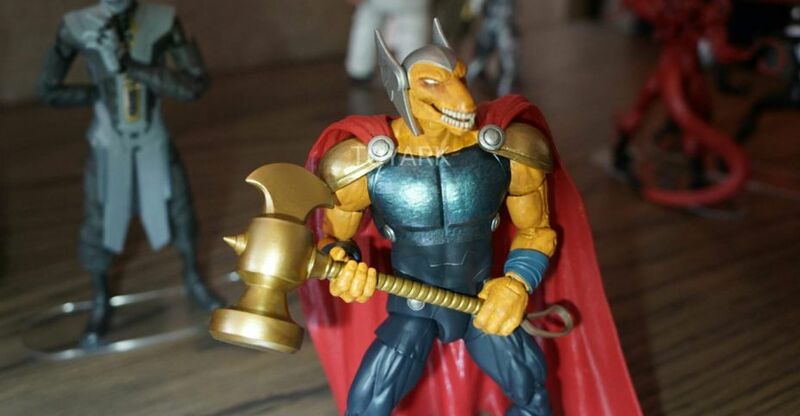 Also from “Marvel’s Spider-Man,” Homemade Suit Spider-Man meets the Hobgoblin! Wearing his first Spider-Man suit, Peter Parker runs afoul with the mysterious villain who holds a grudge against him. 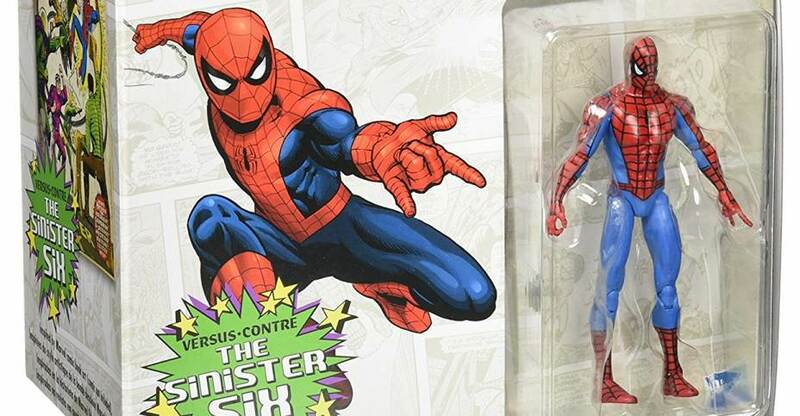 The web-slinger comes with removable goggles, a webline accessory and leaping support stand. From “Marvel’s Avengers Assemble,” the Enchantress teams up with Skurge the Executioner! This Asgardian duo have menaced the Avengers many times, with their mind-control powers and mastery of all weapons, respectively. Enchantress comes with energy ball hand attachments, and Skurge comes with his axe. And from “Marvel’s Guardians of the Galaxy,” Star-Lord crosses paths with the Collector! The leader of the Guardians must deal with the treasure-hoarding Elder of the Universe. 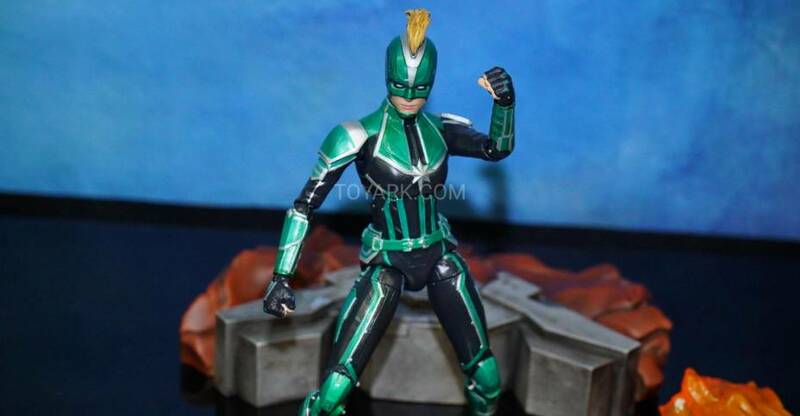 Star-Lord includes a removable mask, hair piece and element gun. This is the first Collector Minimate ever made! 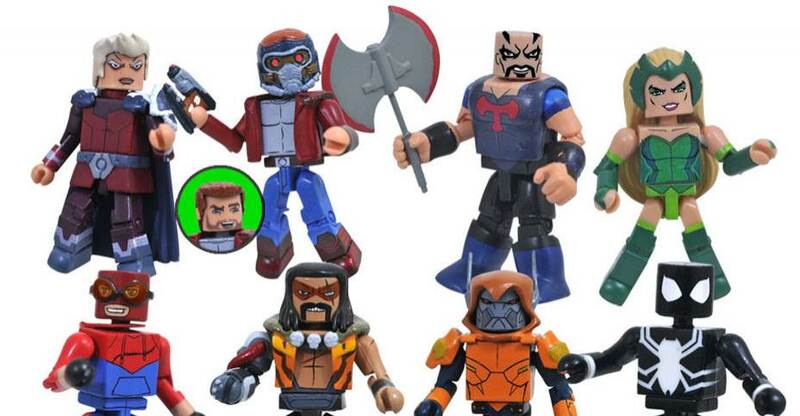 Look for the Marvel Animated Minimates Series 9 to start hitting stores around July 1st. Also, Series 8 of the cartoon themed 2-packs is now available in Walgreens stores. 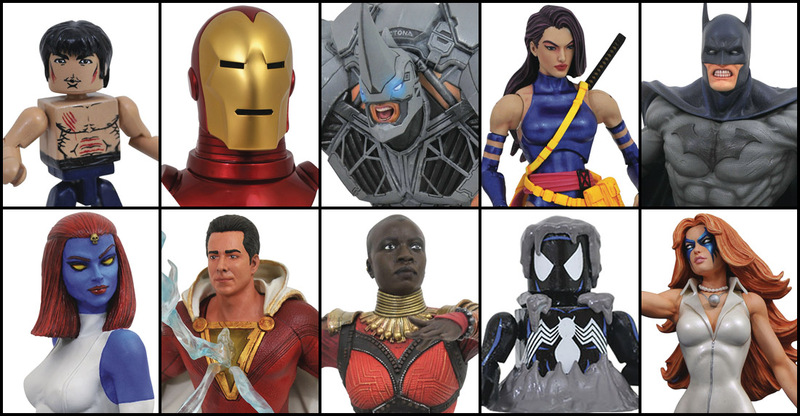 See The new figures by clicking the banner image. Check out our photos of the LEGO Marvel Super Heroes display from New York Toy Fair 2016. Kraven was a maniacal big game hunter who sought to defeat Spider-Man to prove that he was the greatest hunter in the world. Unlike other hunters, he typically disdained the use of guns or bow and arrows preferring to take down large dangerous animals with his bare hands even though he often made elaborate preparations to weaken a quarry before hand. He also used a mystical serum to give him similar strength to Spider-Man, but even without the serum he was a threat to the wall-crawler. However, Kraven’s continual underestimation of the superhero’s resourcefulness made him a frustrating quarry. 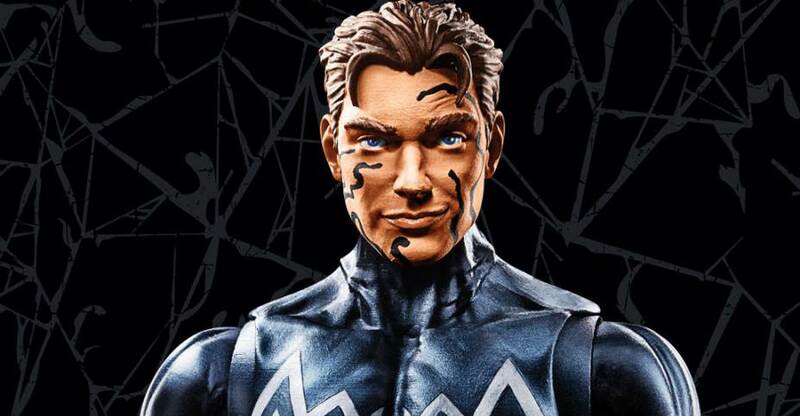 Related Dork Side Toys links: Marvel Legends Kraven, All Marvel Legends, Newly Listed Marvel Legends Spider-Man Rhino Wave.